Dewi de Vree (1983, NL) is a media artist dealing with the sensual experience of physical experiments. Through her work she likes to share her fascination for natural phenomena. 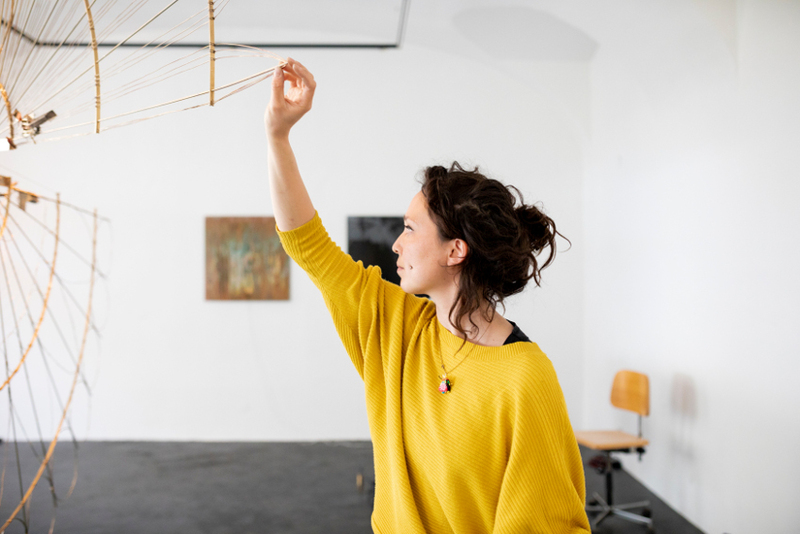 Inspired by the beauty of invisible processes which surround us in our daily lives, her aim is to open them up and make them perceivable through sound and image. To explore her topics of interest, she is developing her own media from scratch and using materials and techniques of different disciplines like visual arts, theater, music, chemistry and physics. With a background in the visual arts and her fascination for the interaction between man and machine, she’s been making different translating-machines, sound interfaces, instruments, performances and installations. During the performances both the audience and the performer are witness of the control of the performer and the unpredictability of the material. Examples of her work include Elektrolab, a sound performance with self made instruments based on electro-chemical principles, Thermokoppel, a sound performance around thermo-acoustics and Ground, an audiovisual performance in which graphite drawings are used as a control interface for several electronic instruments. At the moment she is working on Magnetoceptia, a series of performances and installations around antenna-costumes together with Patrizia Ruthensteiner (AT). Next to her individual practice she is initiator and organizer at different experimental art and music venues like Stichting Centrum – ‘Villa K’ and part of Instrument Inventors Initiative ‘iii’ and artist collective ‘Helicopter’ in The Hague (NL).